It was a success that even James Bond would be proud of. According to accounts of documents leaked by Edward J. Snowden, a British intelligence agency collected video webcam images from millions of Yahoo users undetected. These users were targeted regardless of whether they were suspected of illegal activity. Many of the images obtained were sexually explicit. Whether the agency also collected webcam images from similar services, such as Google Hangouts or Microsoft’s Skype, is unknown. Britain’s Government Communications Headquarters, or GCHQ, operated the surveillance effort, code-named Optic Nerve. The agency’s fiber-optic cable taps captured images from Yahoo webcam chats in bulk and saved them to a GCHQ database. It is suspected that much of the data was shared with American officials at the National Security Agency. According to a report by The Guardian, the British ran queries of the data using a search tool provided by the N.S.A. called XKeyscore. The agency collected webcam images from more than 1.8 million Yahoo user accounts globally, including those of Americans, in one six-month period in 2008. Documents show that the GCHQ was collecting vast amounts of webcam images because the British agency lacked the technical means to filter out the content of British or American citizens. To avoid overwhelming its servers, the British agency restricted its collection by saving one image every five minutes from users’ feeds. The agency faces fewer legal restrictions in Britain than the N.S.A. faces in the United States. Analysts viewed the contents of webcam chats between users whose usernames matched those of surveillance targets. 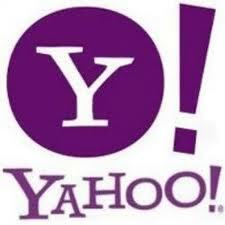 Analysts were instructed that they were allowed to view “webcam images associated with similar Yahoo identifiers to your known target,” according to the released documents. The agency also apparently experimented with facial-recognition technology, which searched webcam images for faces resembling those of GCHQ targets. The report in The Guardian disclosed that the British intelligence agency was studying the possibilities of using the cameras in Microsoft’s Xbox Kinect devices to spy on users.